Madaba Mosaics are best known for its Byzantine and Umayyad mosaics, especially a large Byzantine-era mosaic map of the Holy Land. 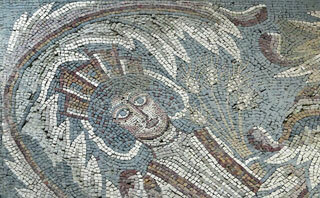 The first mosaics were discovered during the building of new houses using bricks from older buildings. The new inhabitants of Madaba, made conscious of the importance of the mosaics by their priests, made sure that they took care of and preserved all the mosaics that came to light. This article uses material from the Wikipedia article "Madaba Mosaics", which is released under the Creative Commons Attribution-Share-Alike 3.0 License.